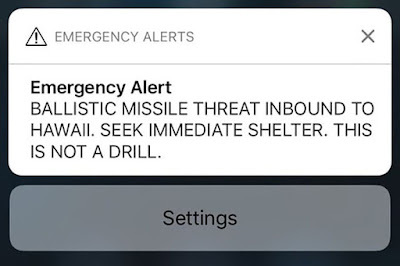 Last Saturday, residents and tourists in Hawaii received a terrifying emergency alert on their phones that read: "BALLISTIC MISSILE THREAT INBOUND TO HAWAII. SEEK IMMEDIATE SHELTER. THIS IS NOT A DRILL." It turned out to be a false alarm, of course. 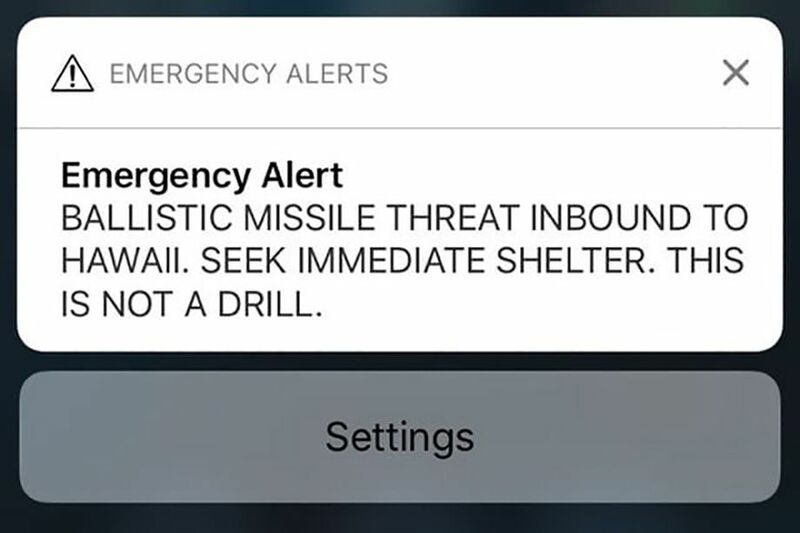 According to published reports, the Hawaii Emergency Management Agency said that a single individual sent out the alert by mistake. It took emergency officials 38 minutes to send a new alert to mobile phones stating that the threat was a false alarm. 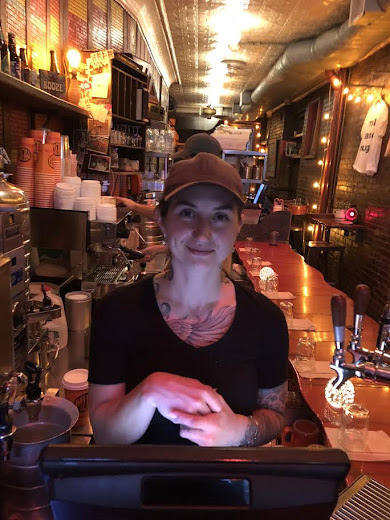 Lina Krupinski, who works at Mudspot Café on Ninth Street between First Avenue and Second Avenue, was in Maui at the time vacationing with her boyfriend. She shared her story with EVG correspondent Steven. My boyfriend and I were awake for about half an hour before we received the alert for a ballistic missile inbound to Hawaii. We quickly went outside and there were people from the hotel gathering in panic. Everyone took this alert seriously and called their families to share the news. We did the same. My body was just shaking and all I could think about is the different scenarios of the way we are going to die — on Maui in the middle of the Pacific Ocean. I’m from Bulgaria and I moved to the USA in 2010. I haven’t visited my family too often — in fact, I last saw my parents five years ago. I couldn’t bear the thought that I was never going to see them again. There was no information about the incident on the internet whatsoever. There was no potential shelter nearby. My boyfriend and I held each other in a hug in front of the hotel and waited. Then we received the correction alert 38 minutes later. Relieved of the fact that it was a false alarm, we still were in shock of what just happened. I think such an error is unacceptable by all means. And the fact that it took 38 minutes to issue the correction is even more disturbing. We are glad that this was a false alarm, and hope that such “error” will never happen again. It is not easy to just go on about your day normally after everything our minds were put through. This was our second to last day in Hawaii. We enjoyed the rest of our stay, but what happened on Jan. 13 we will always remember. It was an experience of a lifetime for sure. What a terrifying experience. Thanks for sharing this story. Wouldn't be such a bad way to go out IMO.